The 1938 Martian Invasion, Part 2. 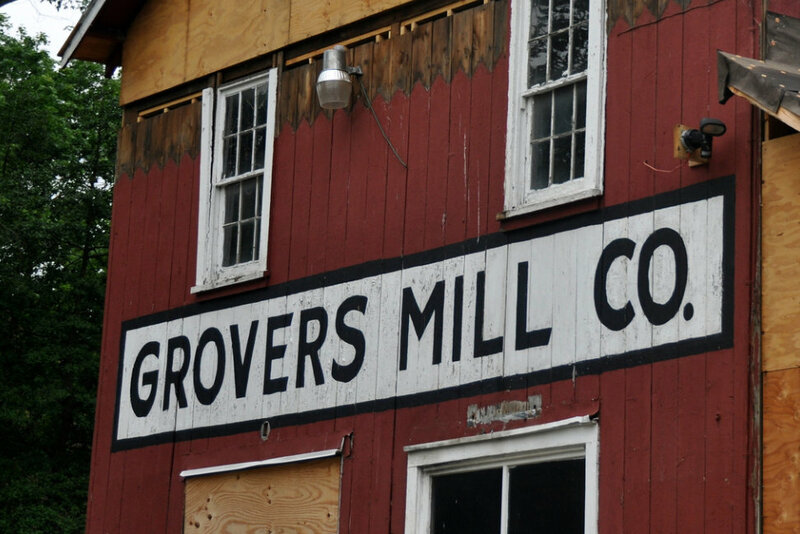 Photograph of Grovers Mill by Kendall Whitehouse. 2011. © All rights reserved. In my earlier post about the Orson Welles broadcast “War of the Worlds,” I used an image of Grover’s Mill, New Jersey and neglected to credit the photographer, Kendall Whitehouse. I’d like to remedy that, and also refer you to a larger, stunning set of images that Kendall has taken of that small New Jersey town where Martians first “landed” in the 1938 invasion. They were taken on what seems to have been a somewhat overcast day, which makes these photographs of the town that was “invaded” even more striking and dramatic. I think you also might enjoy a fascinating blog — On Technology and Media — that Kendall does on the Beacon site at the University of Pennsylvania’s Wharton School. A recent post about the role played by Grover’s Mill in this famous broadcast – Return to the Scene of the Martian Invasion – is especially insightful. Bravo DreamWorks! What Courage It Must Have Taken to Make Fun of "Retards"